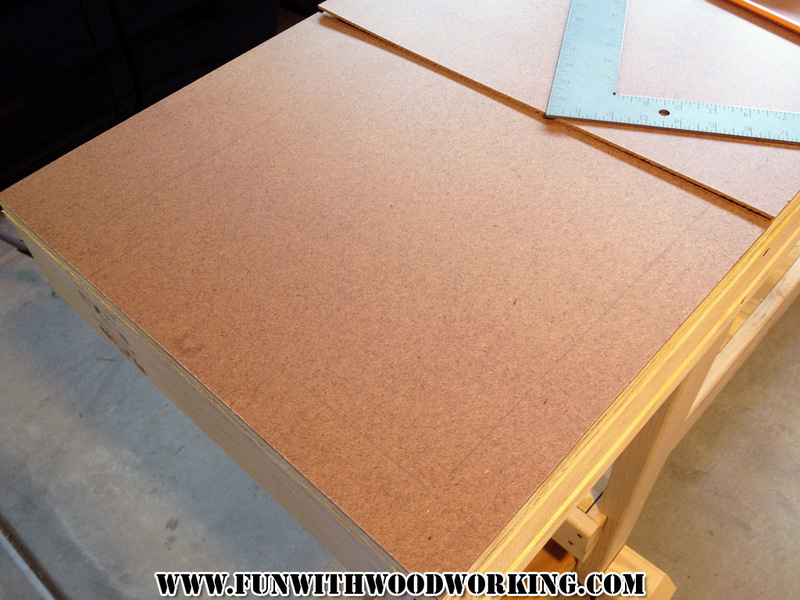 I got the benchtop all cut down to size and screwed together. 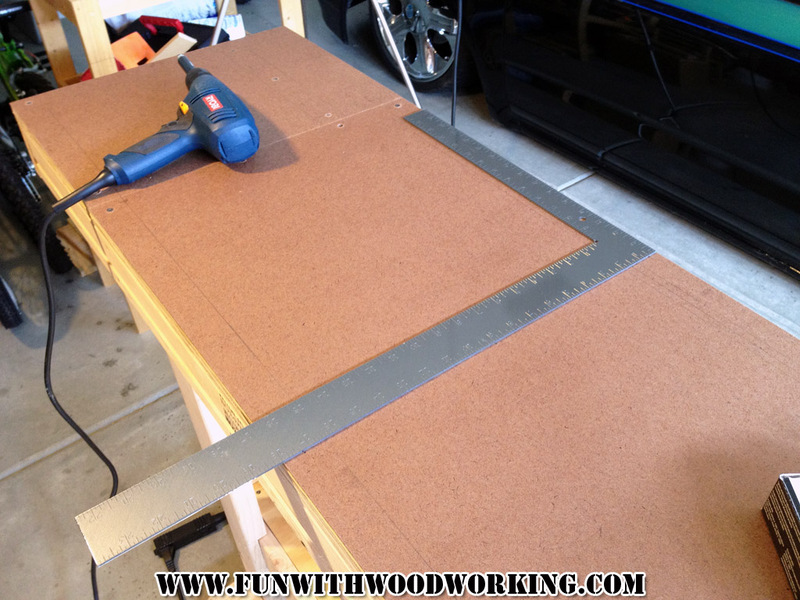 I also cut the dado’s and grooves for the rear tray. All I have left now is to cut the pieces out of the top for the dogs and tailstock. 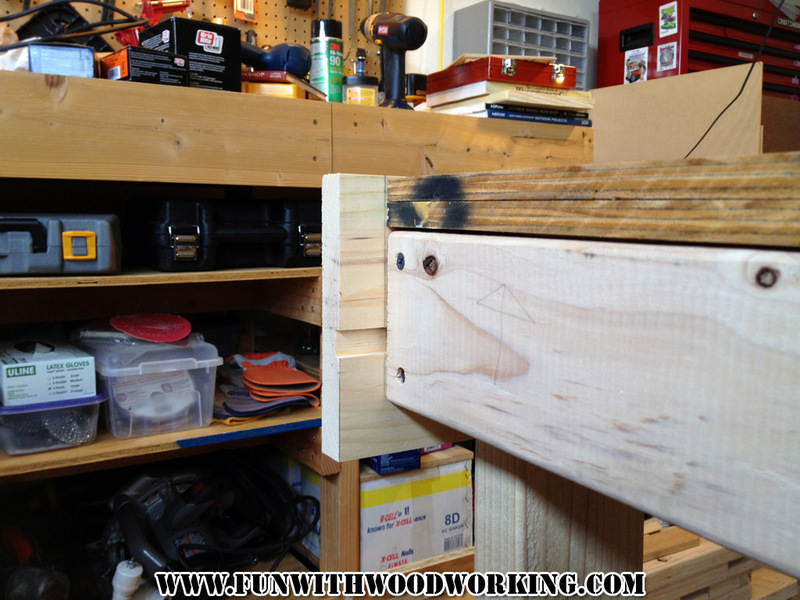 My bench vise screw should be in any time now. 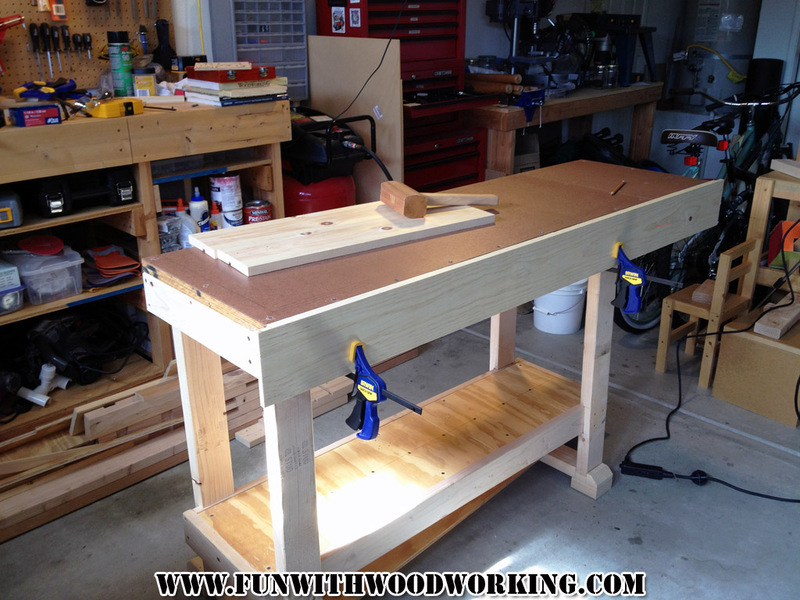 When it comes in I will build and install the tailstock. 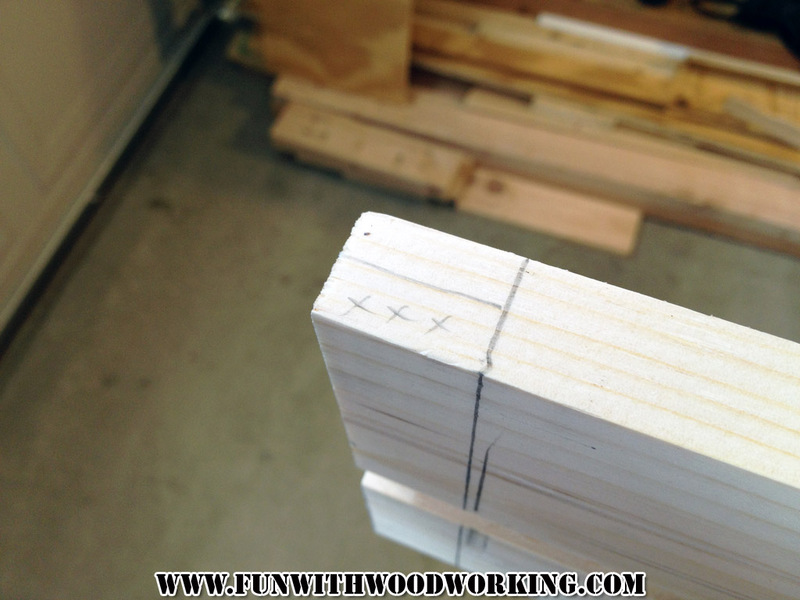 2×4’s on the tabletop so that I would know where to place the screws. 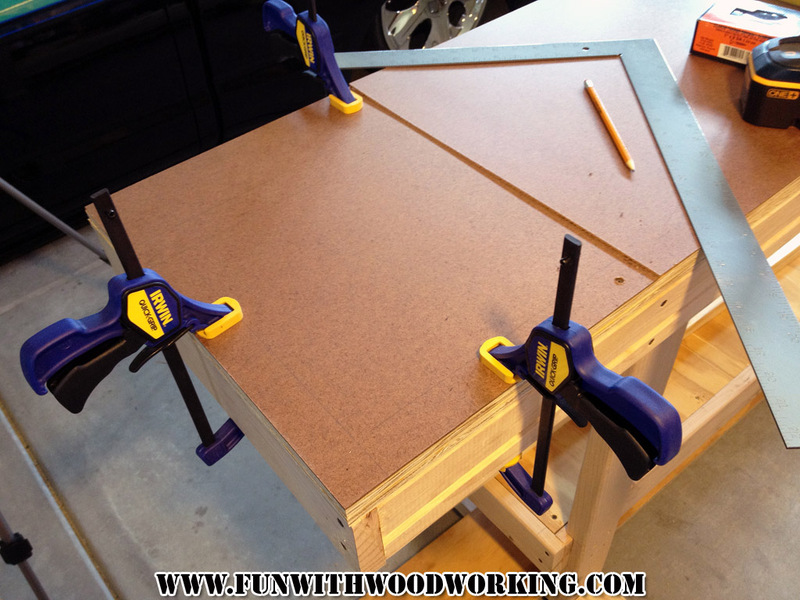 I then clamped it into place so I could countersink and drive in some 1″ screws to hold all three pieces together. 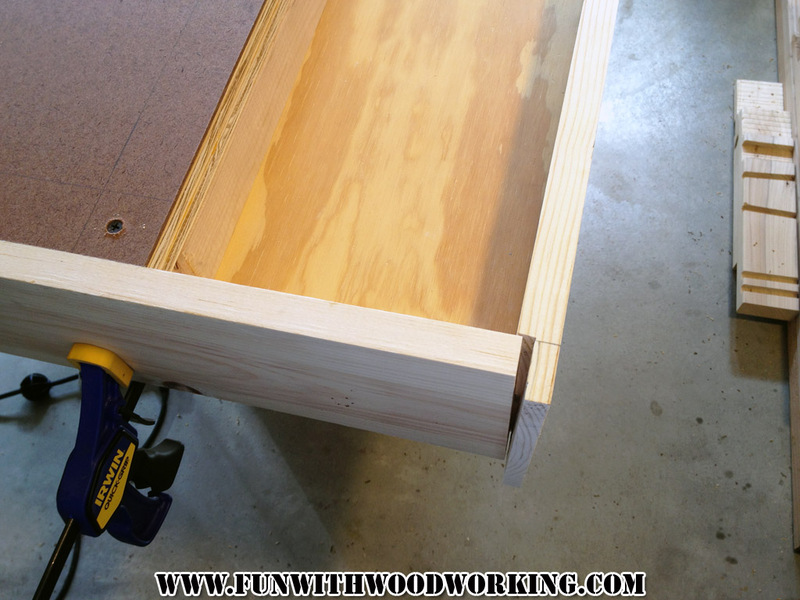 I clamped the rear piece in so that I could mark for the dado’s. I made sure to mark what needed to be hogged out. 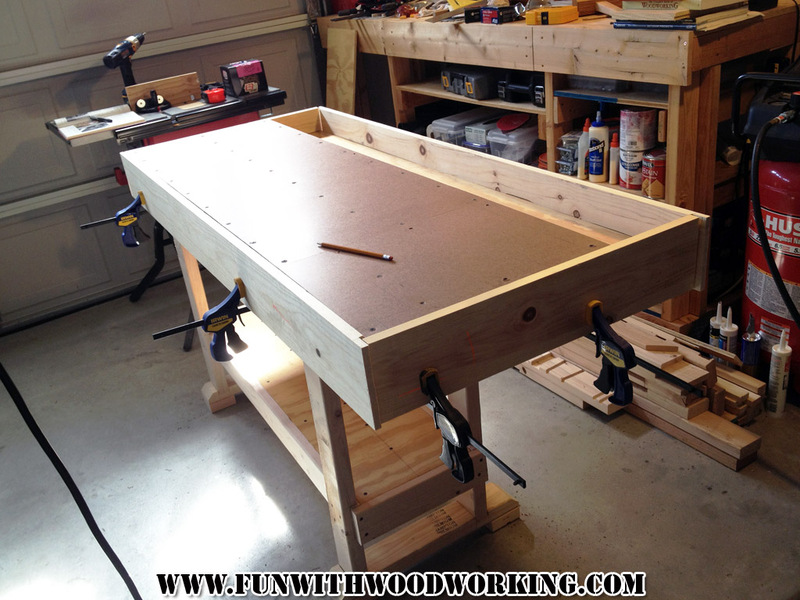 Getting the top ready to be taken off and moved to the table saw. I used my framing square to mark all the places to drive in screws. 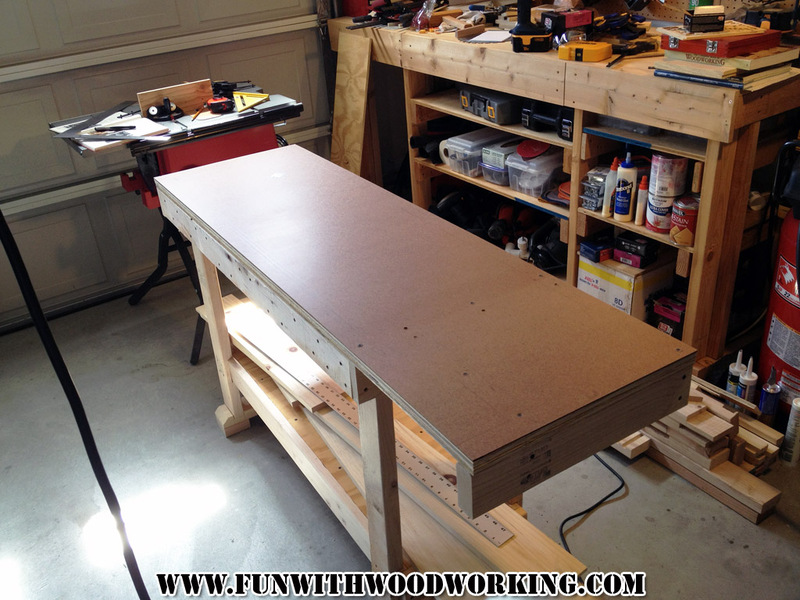 It’s starting to look like a workbench! It was very tempting to just stop here but I really want those dogs and a tail stock. 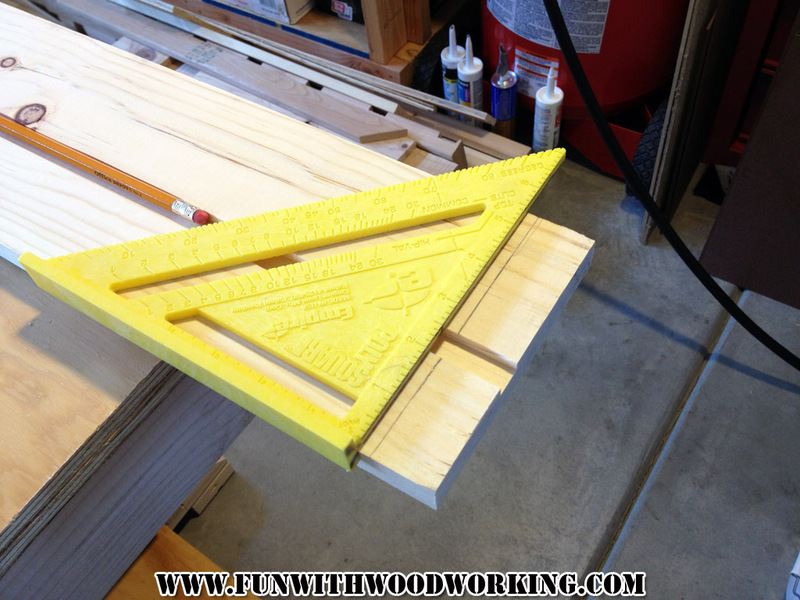 This guy is my Hand Tool Hero!